Baby’s bathing is an important time. Bathing time can be super fun, if your baby feels super happy at this time. But, this time is also a time for precaution, though. Your little one’s skin is sensitive and soft, so there is no chance you can hurt that innocent being with those harsh chemicals anyway. So, why not keep these bathing tips in mind so that your baby is always safe while he gets cleaner. Don’t let your baby bath unsupervised. The first and the foremost rule is to supervise him every second. Children can even drown in less than an inch of water. Grab everything including towel, clean clothes, baby shampoo, and everything else with you, so that there is no second left unsupervised. Be there to keep your baby secure every time. For babies, only warm bathrooms work. 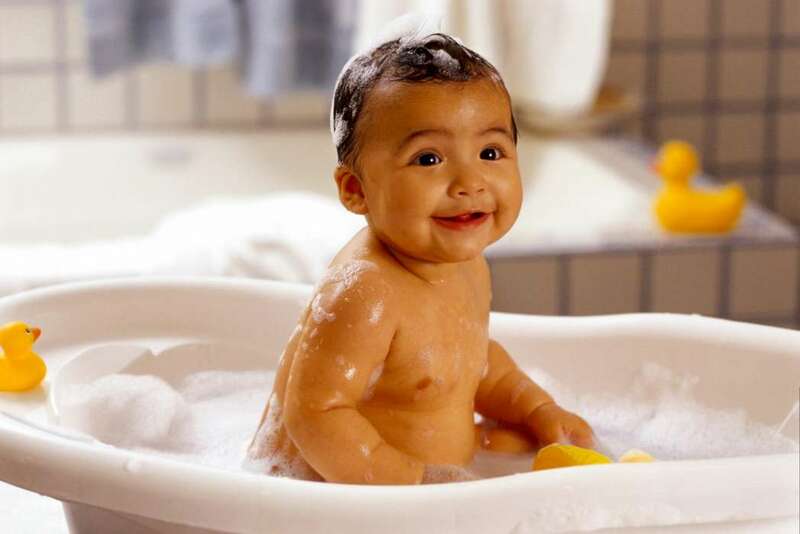 Babies can get chilled easily, so why not give your baby a quick bath in a warm bathroom to make it a happy bathroom? Make the bathwater warm, which is comfortable on baby’s skin. You can simply test it by pouring some water on your wrist or inside of your elbow to ensure not everything is too hot for your baby. Babies prefer a much cooler tub than we prefer to bath with. So, always test the water before bathing your baby. Shampooing too much can dry your baby’s skin. Using too many soaps and shampoos on his skin can affect his skin adversely. So, keep away all these stuff to nourish your baby’s skin properly. Baby bathing is a nice time and one can make it even more fun and entertainment by following these tips. Try these tips on your baby and make it the best time for your little one today.